Hi...newbie here, first time post. I am new to this forum, not to diesels. I have owned a 1980 300SD (love that car...miss that car), 1986 300SDL (Loved the looks, didn't love the drive), I currently own a 2001 Volkswagen Golf TDI (Great for living in San Francisco and running B100 ). I am looking for a new (well new to me at least) Diesel. I am looking for a W211. What is the general consensus on the best year to buy? CDI vs. Bluetec (even though the Blue additive isn't required by the E-class) Major differences between the two technologies or was this a rebrand to align w/ the other MB models that do require the additive)? Any other things I should look out for? 05-6 were I6 CDI's and got SBC brakes. Proven 10 year engine production run, poor brake design. 07-9 were V6 and SBC was elimnated. Neither ever had AdBlue in the US W211's. Ahh, I see. Do the 07-09 models have a traditional hydraulic brake system now or is it a modified version of the drive by wire brake system? I can do some searching around. Sounds like I should go w/ an 07 or newer if I don't want to have to replace pads every 20k miles. 07-09 have the new facelift with MY09 has the best command.....check out the link for these MB brochures! Inventory for bluetec is very limited, and I am looking into purchasing one soon as well. It is very hard to find one with P2 and price is seemed to hoovering around 40k. Too bad the V6 is junk. Why do you say that? Are you saying that the I6 was a better engine? What kind of issues have you experienced w/ the V6? If it came down to replacing brakes every 20k vs having engine problems, I'd go w/ dealing w/ brakes. I've only had positive experiences w/ Mercedes engines. I've always thought very highly of MB's designed before D-Day (thus the last Benz that I owned being a 1998 E430). Even post merger, I thought MB had awesome engines, just unfortunate that MB struggled w/ other components (i.e. trannys, brakes, electrical, etc). Again, I can dig around the forums to see peoples comments, but I'm VERY interested in what you have to say about Diesel V6. It was designed around meeting emissions limits, it was built to a budget in a limited time-frame, its not rebuildable and it requires a balance shaft to run smooth. Are you saying that the I6 was a better engine? By far. 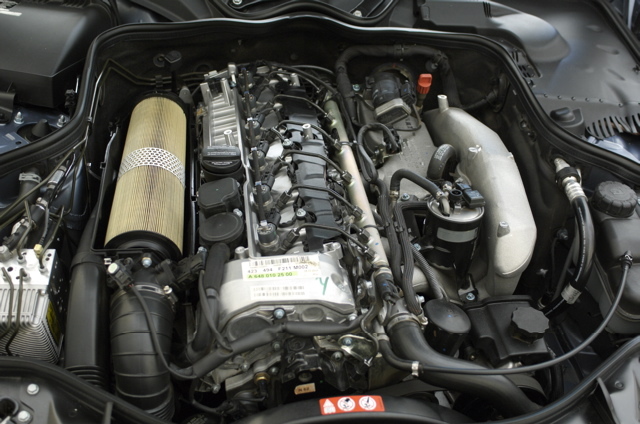 Its rebuildable, an inline-6 is naturally balanced, it has minimal clutter, it isn't choked by a $4,000 exhaust filter, the air filter design is much less restrictive, the turbo is much larger and more efficient and the engine family has been proven to handle over 2x the power on stock internals. Which engine would you rather work on? I agree with you 100%. The straight 6 was replaced by the V6 strictly for emission reasons, not common sense. I wonder where the turbo heat goes in the valley of the V6. The straight 6 turbo is next to the cat and the exhaust system low down at the side of the engine and it goes down. Once the air filter box is removed the turbo can be exposed in the older engine. Without regeneration the straight engine is more economical. The V6 uses the new 7 speed transmission to make up the difference. Most of all the lack of those useless filters mandated in the V6 diesels mean that the straight 6 is a better choice. Imagine when the filters give up, usually when the car is very old and worth very little, you have to fork out $4,000 (today's price) to repair a car which is likely worth less. If you plan to drive your MB in Mexico you may be out of luck. The V6 cannot use LSD, only ULSD. No such problem with the straight 6. Lastly, the straight 6 has the piezzo injectors in preparation for the V6 so the straight engine has all the power without the useless filters, a win-win situation. In conclusion, a straight 6 is a better buy. Unfortunately they are not made mew any more. Not strictly. 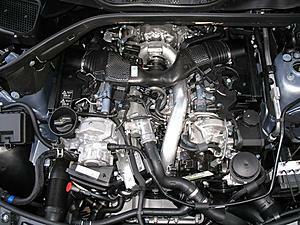 The V6 is shorter which means it can fit into stubby engine bays like the ML class and sprinter. Thats why they were previously limited to the 2.7L I-5. It saves money for MB by not having to 2010+ emissions certify the 12 year old 5-banger and they only need to make 1 diesel for their entire US market that can fit into almost any of their engine bays. Right. Those are a big problem area in the trucks and buses I work with. Just this week a DPF and catalyst failed on a bus here and cost RTD $8,200 to replace! Thats ride fare revenue from 4,100 people down the crapper so the exhaust can keep looking pretty. Size doesn't make much difference with the DPF system cost. However, the lack of a bolt-in design like the buses/semis eats up what little cost difference since the entire exhaust has to be replaced in the Mercedes when a component fails. Plus it WILL fail. 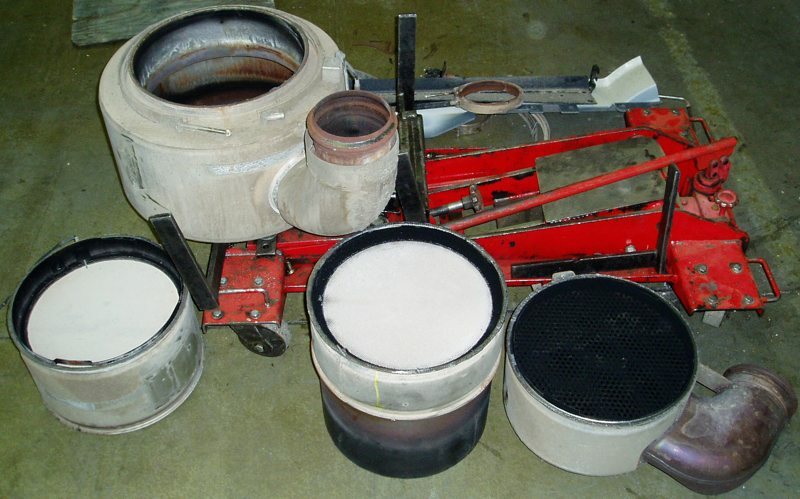 A DPF has a defined limited lifespan because fills with ash as it burns off the soot, that ash doesn't go anywhere and will eventually block flow to a point either the engine can't flow exhaust to make power or the computer goes into limp mode to prevent damage or the release of excessive emissions. The lifespan depends on the driver. A foot-to-the-floor hoon would be lucky to get 80k miles out of it, but a church granny might never need it replaced. Put an aftermarket tuner on the car and all bets are off. Last edited by 240D 3.0T; 05-10-2010 at 02:04 AM. After reading excellent text here, I am still thinking to dump current plan for buying 2007 ML320. Oh, it would be VERY illegal to remove the DPF. In addition, the car probably wouldn't run, as the DPF is electronically controlled. Owning both, I'd say the V6 is BY FAR the better engine. Mercedes is a REAL car company and newer is always better. Plus, it doesn't smoke and it doesn't stink. PS: Writing "DPF filter" is the same as writing "diesel particulate filter filter." Last edited by lkchris; 05-18-2010 at 01:04 PM. With both in my family, I do prefer the inline-6 diesel in almost every aspect - power delivery, sound, smoothness, etc...even though some of this might have to do with the transmissions, where I feel the 5-speed is MUCH better suited to the diesel torque curve than the 7-speed. Only time so many gears are helpful is for heavy towing/hauling, and I feel the 7-speed pulls the engine out of its torque band far faster. That being said, the v6 is still a very nice engine and is completely odorless, while you'll smell the I-6's exhaust any time you're idling with the windows down. To the OP...each model has it's ups & downs. Our '05 cdi has been near flawless over 130k+ miles, and our GL has been near flawless for just over 20k. I would leave your options open and buy the vehicle that most closely matches the color/equipment you are looking for. The engine will enter limp mode without the DPF. Quick Reply: Best Year to buy?